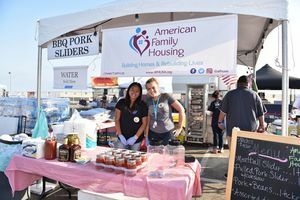 HUNTINGTON BEACH, CA and MIDWAY CITY, CA--(Marketwired - Aug 15, 2016) - American Family Housing (AFH) -- a nonprofit organization dedicated to permanently ending the cycle of homelessness, received over $155,000 in sales and donations from its 5th annual Ribs, Pigs and Watermelons--Professional BBQ Competition, Music Festival and Car Show held August 5-7 at Huntington State Beach. to create 16 beautiful 480-square-foot living spaces. The project takes a new approach to homelessness by first providing veterans and low-income families with a stable home, and then offering support services to help them re-enter the workforce and better manage their future wellbeing. 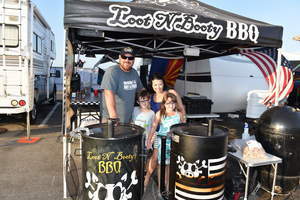 "Our BBQ fundraising event was a rousing success, and we appreciate the efforts of all the professional barbecue teams, our amazing sponsors, our fabulous volunteers and the more than 5,000 attendees who participated in the event," said Donna Gallup, American Family Housing president and CEO. "It was a fun weekend full of great food and music that brought awareness to the pressing need for innovative solutions to address Southern California's very real problem with homelessness." 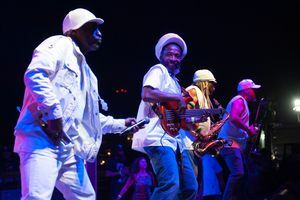 The event also featured an all-day reggae music festival on Saturday featuring some of the most noted reggae bands in Southern California including Pato Banton and the Now Generation, Arise Roots, Ital Vibes, CAL1FA and Special Blend. Friday evening included music from country music bands, and on Sunday guests were treated to classic rock favorites and a vintage car show. Sponsors of the event included: Wells Fargo, Navco, Pacific Premier Bank, Rainbow Environmental Services, Republic Services, Hub International, U.S. Bank, Southwest Toyota Lift, G&M Oil Co., Janus Network, Buyers Access, HW Senior Living, BJ's Restaurant & Brewhouse, Don Wood Auctions and Katten Muchin Rosenman LLP. For more information about the event, or to directly support American Family Housing, visit www.afhusa.org. ABOUT AMERICAN FAMILY HOUSING: Founded in 1985, American Family Housing (AFH) is a nonprofit organization that provides a continuum of housing and a broad spectrum of services to vulnerable populations facing barriers to achieving housing stability, including war veterans and adults with disabilities and mental illness. Operating 63 housing sites, with 283 units that serve more than 1,300 adults and children each year in Los Angeles, Orange and San Bernardino counties, AFH is committed to permanently ending the cycle of homelessness, helping low-income families and adults achieve a self-sustaining way of life and become active members of their communities. Follow American Family Housing on Facebook, Twitter, Instagram and LinkedIn and visit www.afhusa.org for more information. 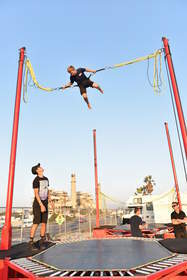 Panoramic view of Ribs, Pigs and Watermelons -Professional BBQ Competition, Music Festival and Car Show in Huntington Beach, Calif.